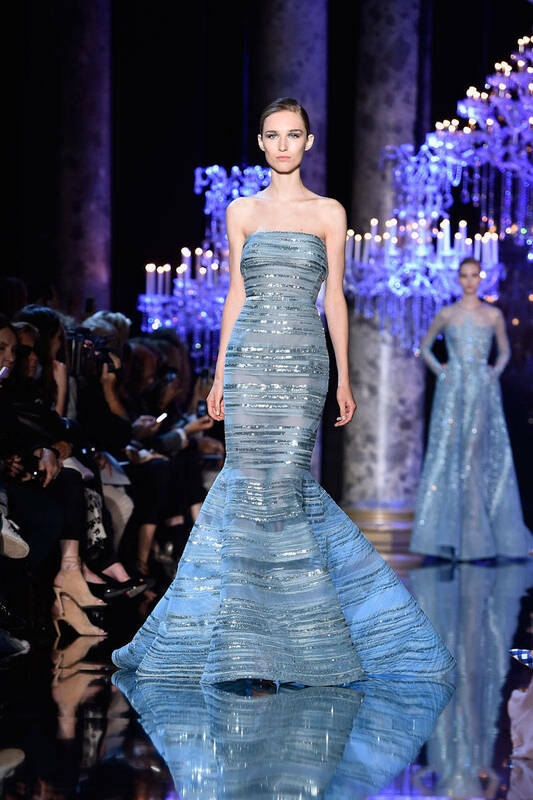 Couture fashion week allows designers to be infinitely creative: New fabrications paired with outrageous silhouettes results in some of the most stunning clothing around. 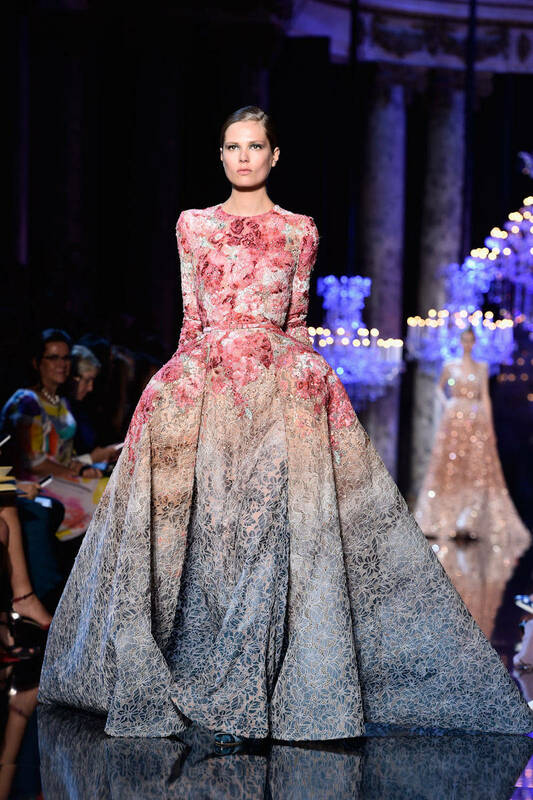 Most important, couture is about fashion fantasy, and we are more than happy to dream! 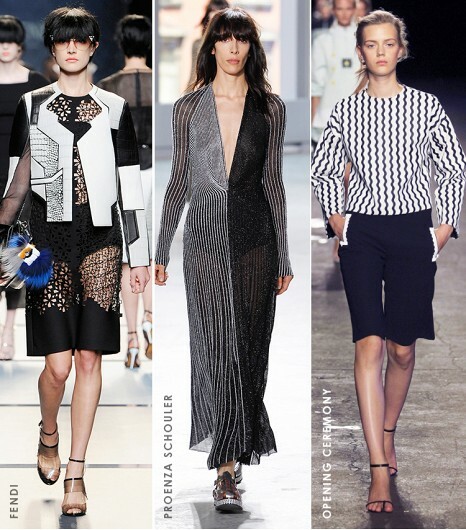 Here are the top 12 trends you’ll want to try this Spring straight from the Runways. The best part, you ask? 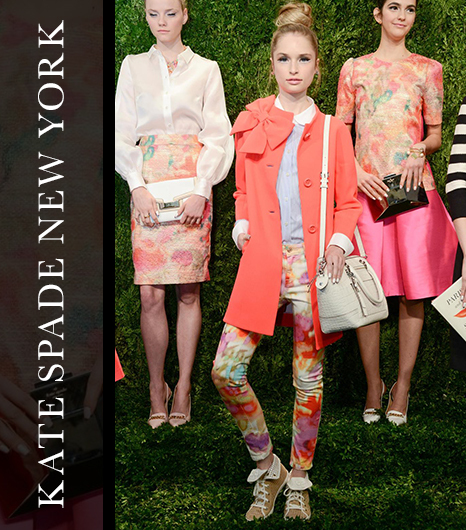 Get the look with key pieces from my stylishly curated shopping list and Spring into Style! 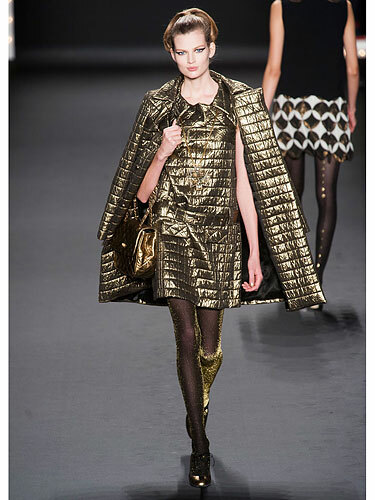 For both day and night, liquid-like metallic fabrics give even the most understated pieces a moment in the spotlight. An optical illusion will always be cool, especially in a black and white palette. 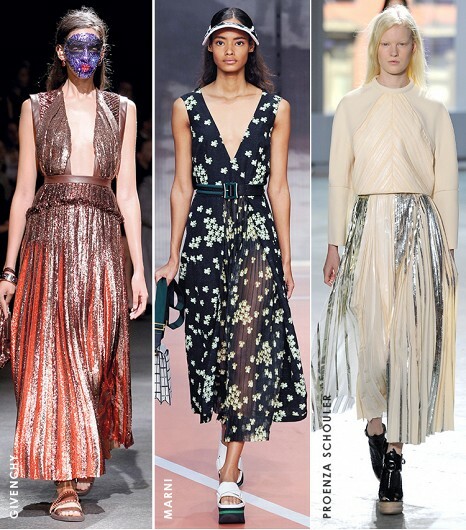 Thankfully, it’s a huge trend for spring! 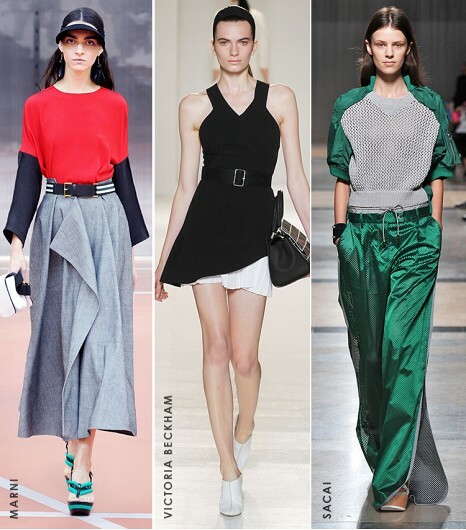 So many athletic references for Spring, one would think fashion was a competitive sport. Raglan, mesh and sneakers came together on the runways as a mash-up of tennis, track, baseball and more. Spring training starts here! 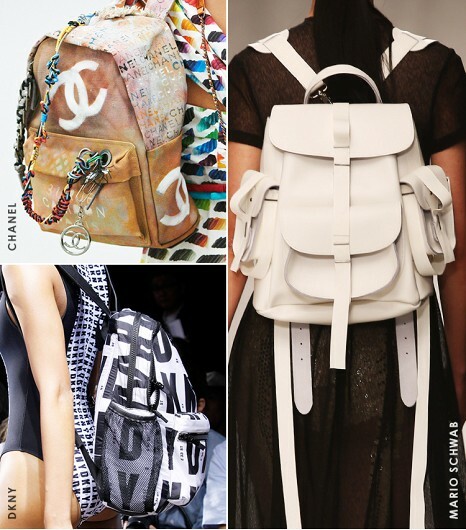 The schoolgirl staple, the backpack, has edged out the oversized clutch as the must-have bag for Spring. Clap your hands and say “Yeah!” because this carryall is hands free. You probably have plenty of travel destinations you want to cross off your list. Start channeling your inner globetrotter now. All you need is a little help from these chic pieces! Men’s shirting is back in the fashion spotlight this spring, courtesy of labels including Band of Outsiders, DKNY, Erdem, and more. 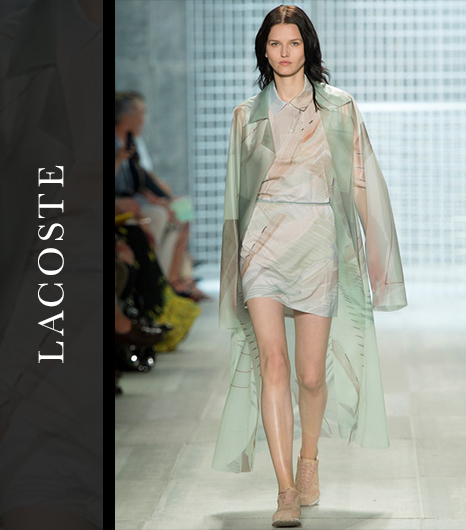 This season however, it’s taking a softer turn with feminine features like lace inserts, and shirtdresses. 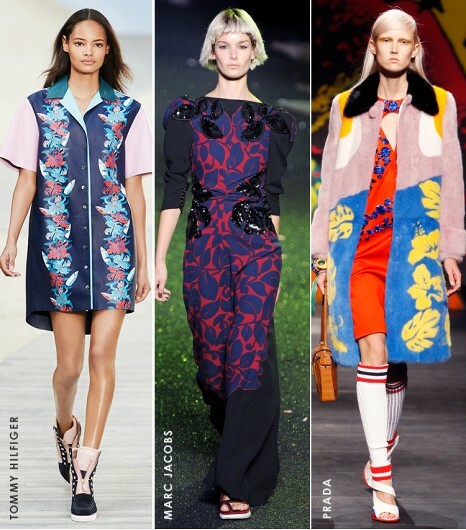 Florals are synonymous with spring, but this season designers are turning it up a notch with bigger, bolder blooms on everything from sportif silhouettes to statement-making footwear. 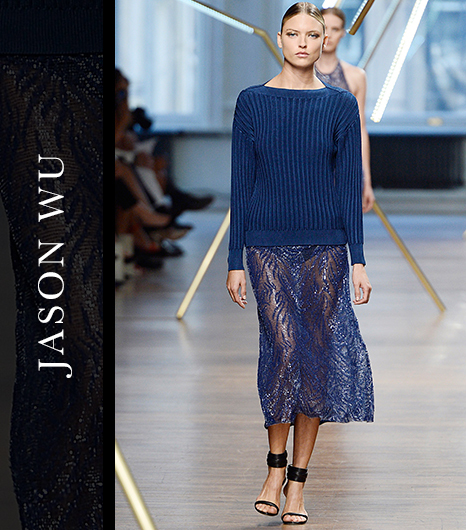 Navy, cobalt, indigo, teal, sapphire—you name it, blue is the hue to wear this spring. 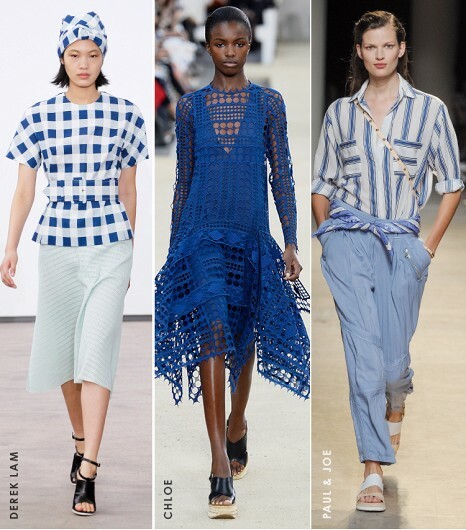 With so many ways to wear the color, this trend is sure to find a place in your wardrobe. The shoe of S/S 14 is undoubtedly the mule. 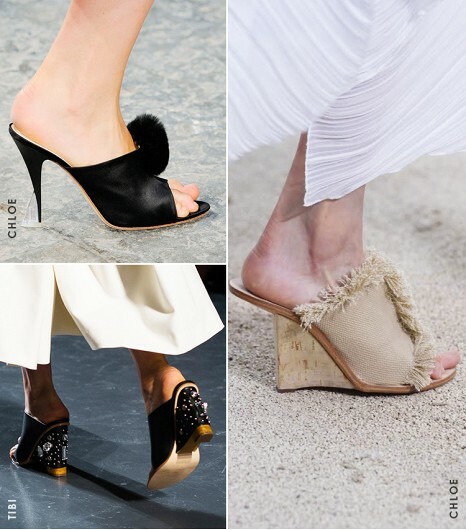 Seen on the runways of all four fashion capitals, it is the footwear style on everyone’s short list. Style options range from wedge to stiletto and everything in between. Pleats appeared on everything including dresses, jackets, skirts and tops. 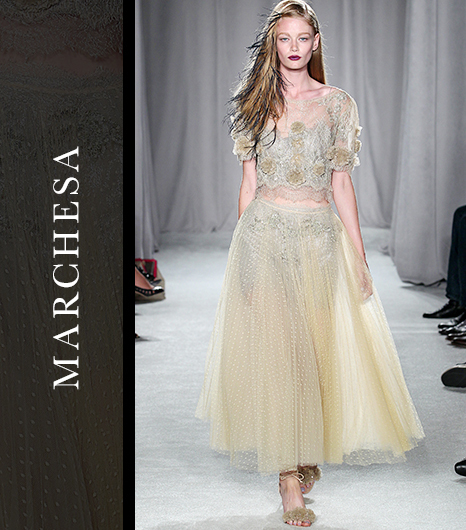 With all of the movement of a flowing gown, the surprisingly feminine design has been reimagined to look exceedingly hip. The favored trim of rock stars and bohemians make a much needed comeback this season with a decidedly western flair. 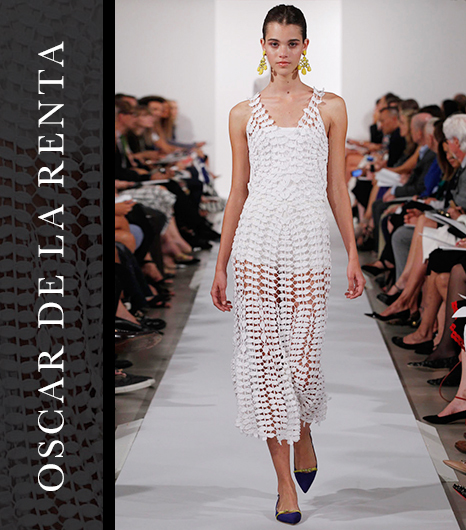 Modern art found its way onto every major runway this season. Painted pieces are definite must-haves. 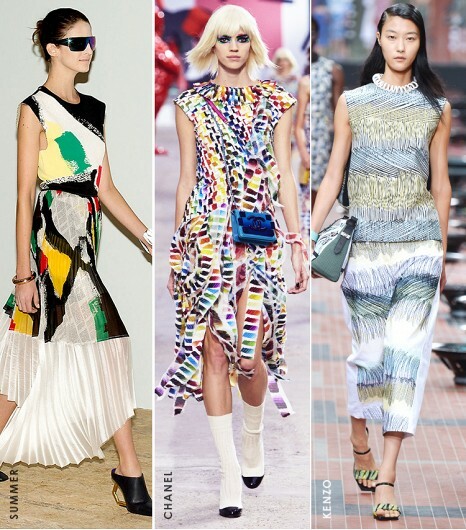 Check out the top pieces you’ll need to play the Picasso of your spring wardrobe. 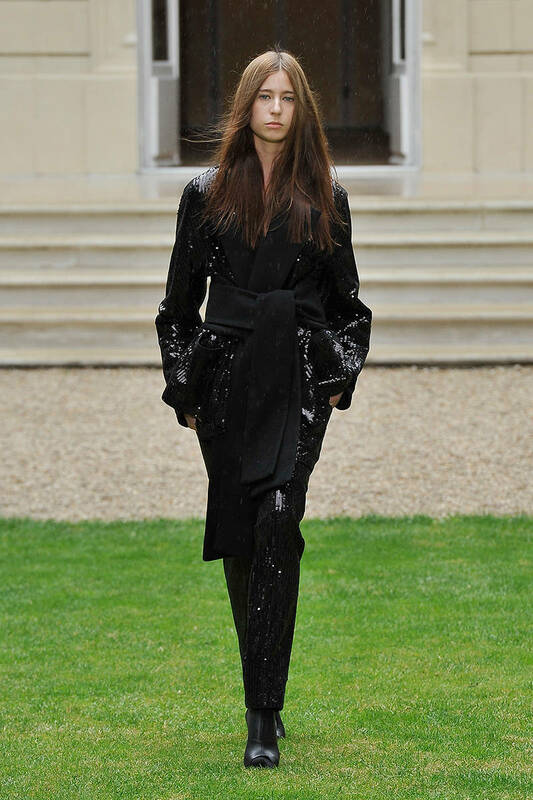 The couture runways are where designers’ wildest ideas and most imaginative visions come to life. But here are some beauty inspirations you can actually wear in real life. From the red lip stain and dewy skin at Christian Dior to the stick-straight locks and smoky eye at Versace, these are the looks you’ll want to re-create. 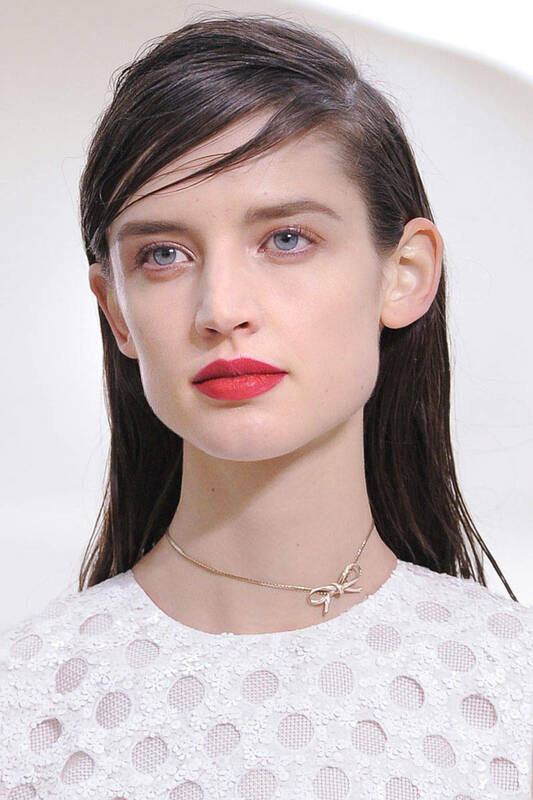 When wearing a bold lip color, like the matte cherry red seen at Christian Dior, it is important to downplay your other features with soft eye makeup and light brows. 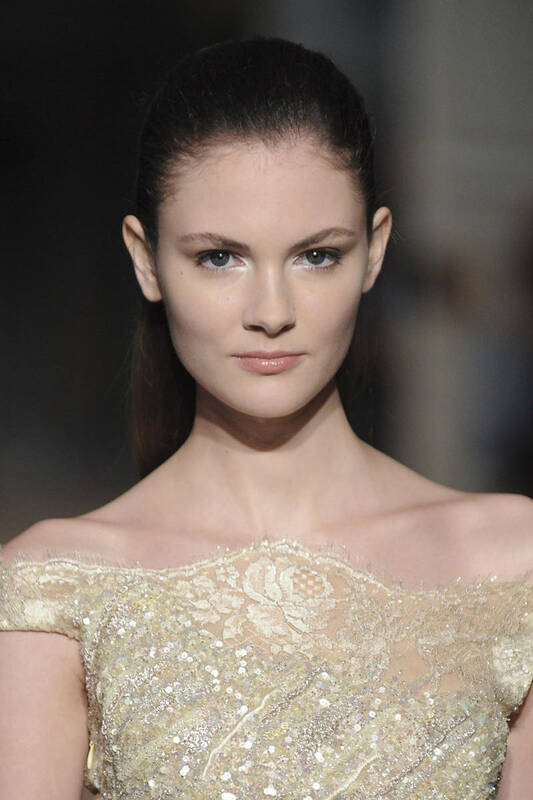 Adding white shimmer (or gold for those with darker complexions) to the inner corners of the eyelid will make your eyes seem bigger, brighter, and more awake. 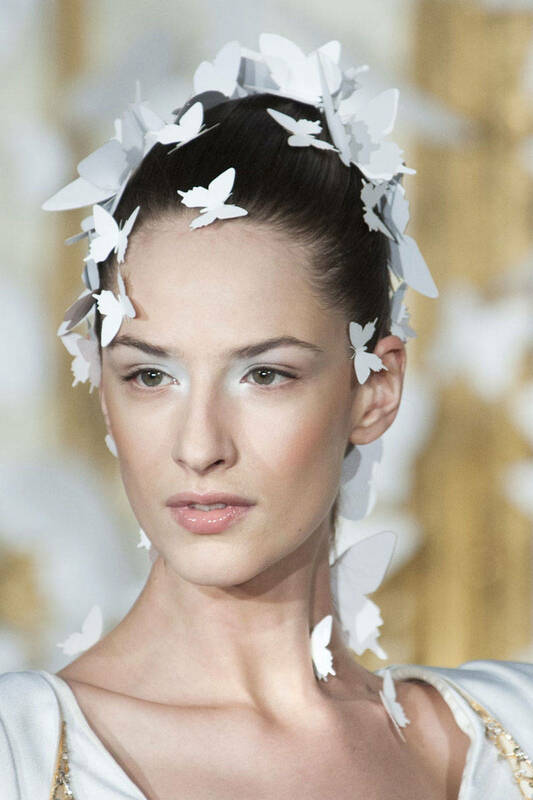 Minus the butterflies of course (or maybe just one), white eyeshadow and a bold brow is the perfect look for a spring evening. 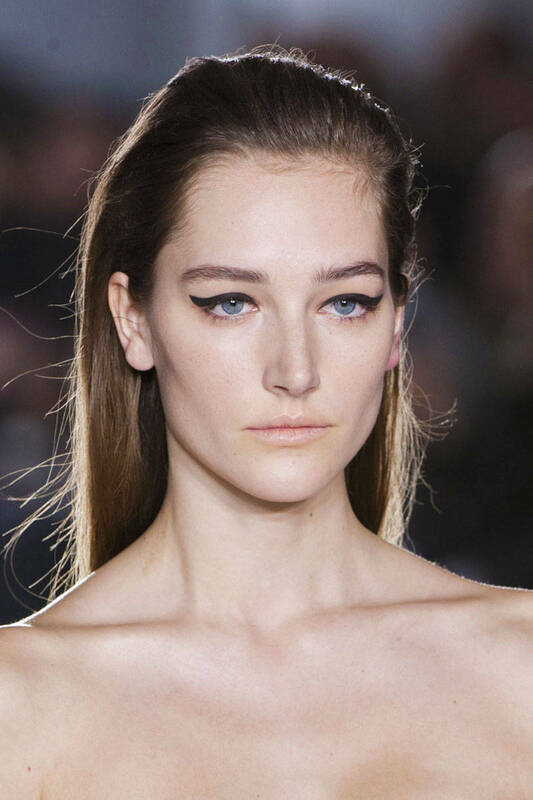 Giambattista Valli is bringing the Amy Winehouse cat eyeliner back, highlighted by a completely fresh face. A hair straightener, smoky eye shadow, and lip gloss is all that’s on the Versace girl’s beauty check list. 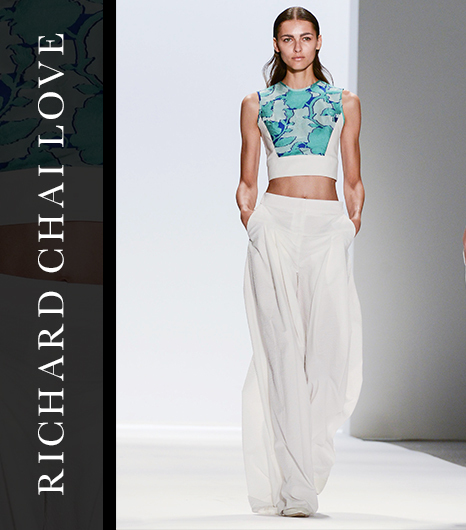 The momentum was strong at New York Fashion Week, with so many great designers. Don’t worry if you missed some of the action. 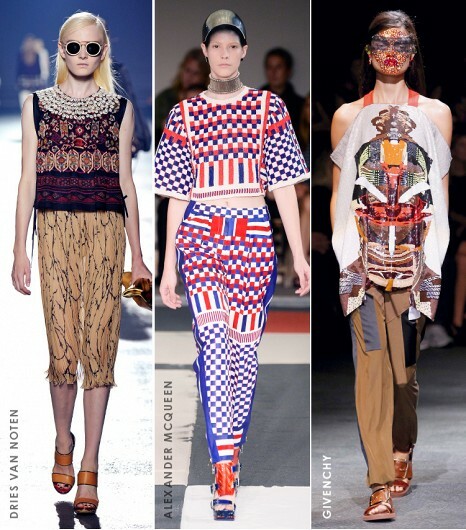 Here are my picks for the need-to-see runway looks! Have a fashionably fantastic day! 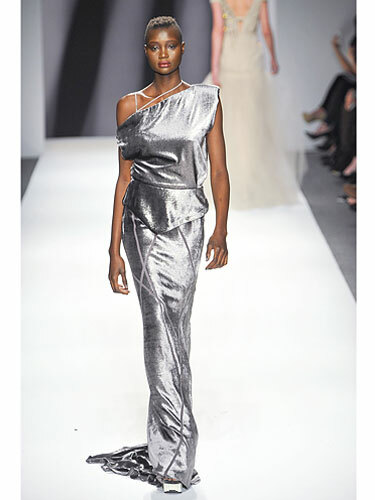 This Fall, metallics go way beyond just silver and gold with fluid fabrics in all shining shades of the spectrum. Some Style Inspiration for you from some of the best beauties in New York. A bright lip perfectly accents this gorgeous model’s muted palette ensemble. 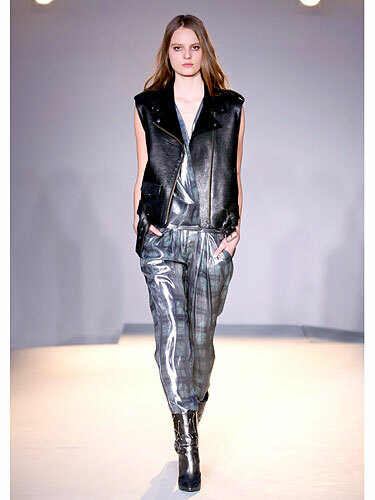 Take a cue from this model and add in touches of leather when mixing black and brown. Oh, Cara Delevingne, how we love your spunky style! This model proves that you can still look stylish with your heels in your bag. Sometimes comfort is key! Revisit your art class days with this lesson in how to rock complementary colors —indigo blue pops next to neon yellow. This glam fur coat looks even better paired with a berry lip and bold brows. This model dressed up her color-block coat with funky wedge sneakers—on-trend and ultra-wearable. 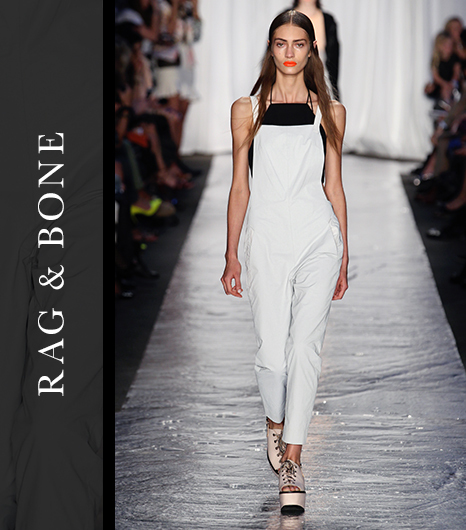 I love this model’s winter white pants with edgy with geometric black accents. 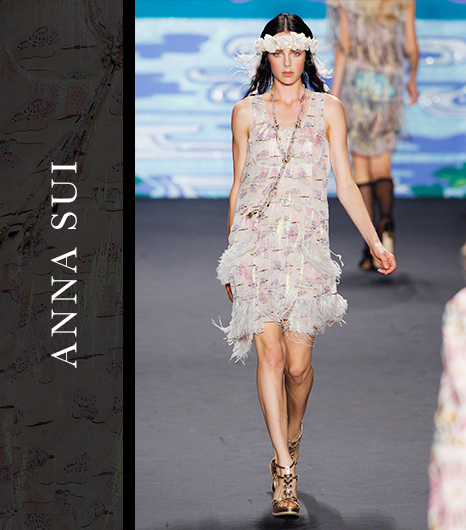 Go boho chic with fringe and feather detailing. 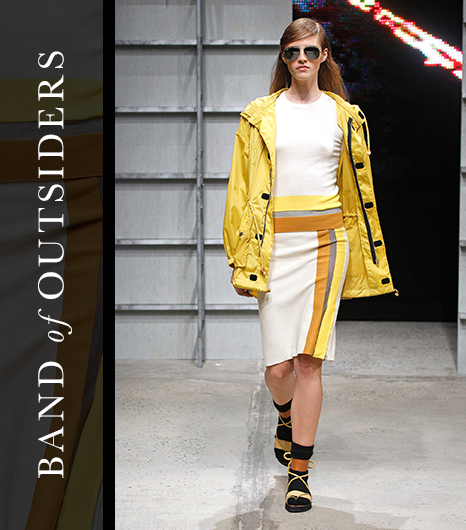 Canary yellow is a perfect way to brighten up a dreary winter day. Leather, fur, and a distressed scarf—it’s all about the layers. Doutzen Kroes finishes off a sophisticated winter white ensemble with unexpected tough boots. Floor sweeping or super short? These two fierce models span the hem spectrum. Leather, fur, and toggle buttons, oh my! 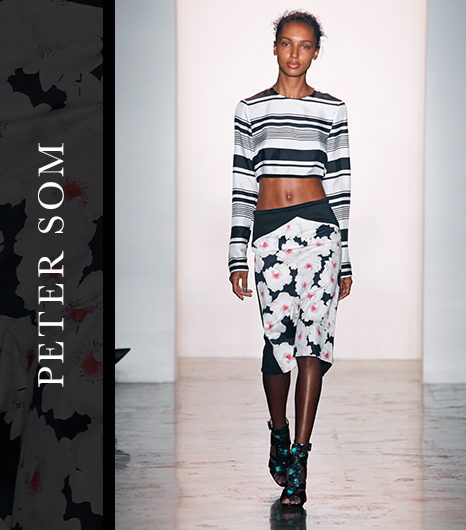 Knits aren’t just for scarves and sweaters—they make for super-stylish trousers as well! 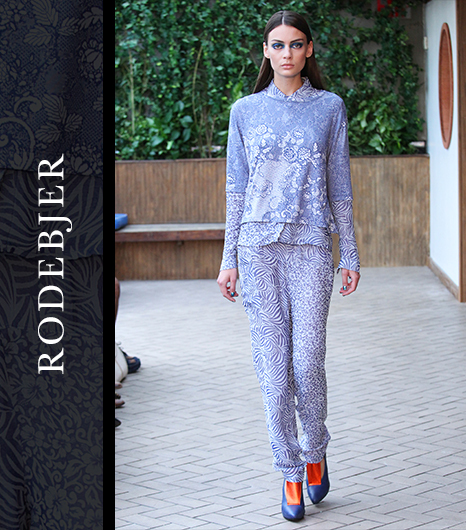 Coco Rocha’s burnt-orange harem pants are definitely on my wish list this year. She’s a snow bunny with a city girl twist! Boyfriend jeans are a model staple—add a chunky knit and some booties and you’re good to go! There’s no shying away from color here! Her red harem pants pop and that jacket is über cool. I’m obsessed with her dramatic fur coat! When you’ve got studded boots and leather leggings, you don’t need a runway to strut your stuff.